Updating to Windows 10 isn’t always simple, and sometimes issues can emerge. Speaking of issues, Windows 10 users reported Error code 43 while using AMD graphic card on Windows 10. What’s the cause of Error code 43, and how to fix it? AMD Radeon code 43 Windows 10, 8, 7 – This issue can appear on any version of Windows, but you should be able to fix this problem by using the solutions from this article. 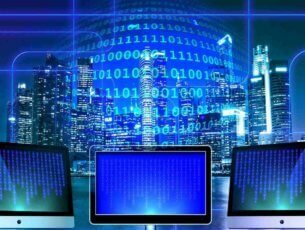 Graphics device driver error code 43 – Sometimes this problem can occur due to your drivers, but you should be able to fix this problem simply by reinstalling them. AMD display driver error 43 – In some cases, this problem can appear due to AMD software. Simply uninstall it completely and install Radeon: Crimson ReLive software. AMD RX 570, 470 error 43 – This issue usually affects RX series of graphics cards, but you should be able to fix the problem using one of our solutions. Error code 43 appears if your AMD graphic card drivers aren’t up to date, and in order to fix this issue, we strongly advise you to update your graphics card drivers. To do that, just visit AMD’s website, locate your graphics card and download the latest drivers for it. After installing the latest drivers Error code 43 should be fixed. We strongly recommend this third-party tool (100% safe and tested by us) to automatically download all the outdated drivers on your PC. When Device Manager opens, locate the Display adapters section and expand it. 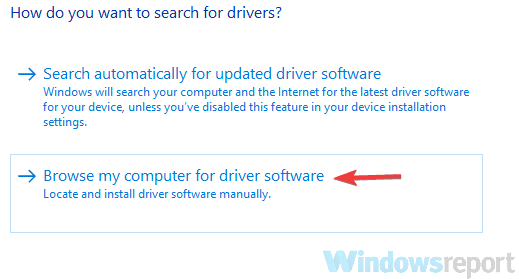 Locate your driver, right-click it and choose Uninstall device. 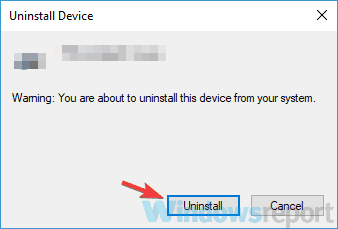 Select Delete the driver software for this device and click Uninstall. Restart your computer and install the latest driver. Some users are suggesting to use DDU to completely remove any previously installed display drivers. To do that download DDU, run it, and follow the instructions. After you’ve uninstalled the driver, download and install the latest version. Another driver that can cause this issue is SmBus driver, and in order to fix the problem, you need to reinstall it or update it. After doing that, the problem should be completely resolved. Some older AMD graphic cards, such as AMD Radeon 4000 aren’t supported by Windows 10, and if you’re using one of these older graphics cards, we strongly advise you to upgrade it. 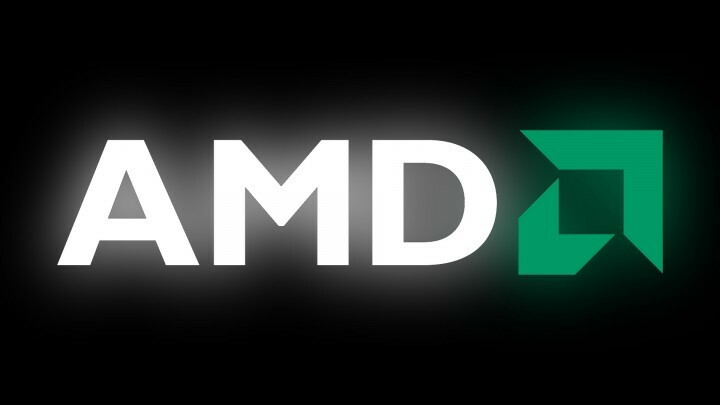 As we already mentioned, AMD Error code 43 can be caused by your drivers, and in order to fix the problem, it’s advised to remove all AMD software from your PC. To ensure that the software is completely removed, we suggest using uninstaller software such as Revo Uninstaller. Go to the AMD’s Support & Drivers page and manually select the driver. Now click Download previous Drivers and Software. Select an older version of Crimson ReLive Edition. Users suggested using version 17.2.1, but you can use a newer version, just don’t use the latest. Now click on Optional Downloads and download the AMD Chipset drivers. Install the Radeon Software: Crimson ReLive Edition and restart your PC. After installing this software, the problem should be completely resolved. According to users, AMD Error code 43 can occur due to issues with your drivers, and sometimes both your dedicated and integrated graphics card can be the problem. According to users, you can fix this problem by uninstalling drivers for both your AMD and integrated graphics. Once you remove the drivers for your graphics card, you need to access BIOS. To see how to do that on your PC, check your laptop or motherboard manual for detailed instructions. Once you enter BIOS, turn off your AMD dedicated graphics. Save changes and go back to Windows. Once you enter Windows, install the drivers for your integrated graphics. Now go back to BIOS and turn on your AMD graphics. Install the driver for AMD graphics, restart your PC and the problem should be resolved. This is a bit complicated solution, but some users claim that it works, so you might want to try it out. Go to the AMD’s website and download the latest drivers for your graphics. Once you download the drivers, run the setup file to extract them. If the installation stops automatically, be sure to cancel it. If the drivers are coming in an archive, just extract the archive to your PC. After doing that, open Device Manager. Locate your AMD device on the list, right-click it and choose Update driver. Click the Browse button. Now select the extracted directory from Step 2. After doing that, click Next to proceed. After doing that, the driver will be manually installed and the problem should be completely resolved. If you’re getting AMD Error code 43, you might be able to solve it simply by running the Hardware and Devices Troubleshooter. Windows comes with many built-in troubleshooters, and you can use them to automatically fix common problems on your PC. Settings app will now open. Navigate to the Update & Security section. Select Troubleshoot from the menu on the left. Choose Hardware and Devices and click the Run the troubleshooter button. Follow the instructions to complete the troubleshooting process. 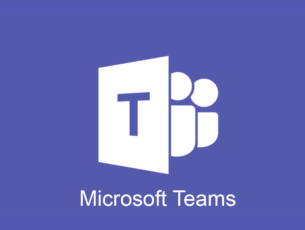 Once the troubleshooter is finished, check if the problem is still there. Troubleshooter isn’t the most reliable solution, but it can sometimes fix minor issues, so be sure to try it out. Before we start, we have to mention that this is quite a risky procedure, but few users reported that they fixed AMD Error code 43 simply by flashing their graphics card firmware to the older version. Before we start, we have to mention that this procedure is extremely risky, and if you’re not careful you can permanently damage your graphics card, therefore use extra caution. To do that, you need to use AMD/ATI ATIFlash software and find the appropriate version of BIOS for your graphics card. This is an advanced solution, and you should use it only if other solutions can’t fix the problem. As we already mentioned, this is a risky procedure, and we’re not responsible for any potential damage that might occur. In some cases, AMD Error code 43 can appear because you don’t have the latest updates installed on your PC. 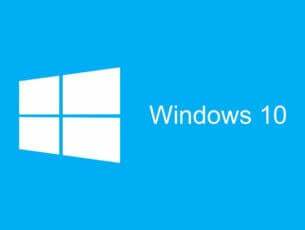 Bugs in Windows 10 can occur, and in order to fix the issue, it’s advised that you install the latest updates. Navigate to the Update & Security section. 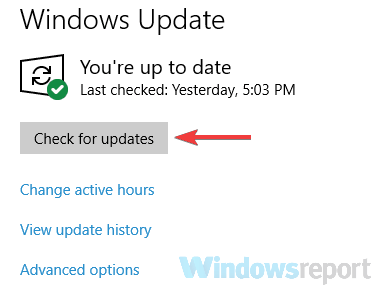 Windows will now check for available updates. If any updates are available, they will be downloaded automatically in the background and installed as soon as you restart your PC. After your PC is up to date, check if the problem is still there. AMD Error Code 43 can be caused by outdated AMD graphic card driver, or incompatible AMD graphic card, and in most cases the best solution is to just update your display driver or your graphics card.